The mass transition to the use of digital media did not affect the true book lovers. The value of printed materials for them has not decreased, and nothing will force them to part with at least one copy. The pride of owning an extensive library sometimes overshadows only the lack of space in which its storage will be convenient and will provide books with good preservation. Scheme of a three-section cabinet. It is not always affordable to buy a large bookcase, which would accommodate a priceless collection. But if you carefully examine the design of this piece of furniture, it turns out that it is quite simple. Having minimal skills in handling the instrument, you can make such a cabinet with your own hands, while saving almost half the amount that would have been spent on its purchase. The first thing to do is choose a place for the cabinet. Books also require respect for them elementary rules of hygiene. Careful storage of the library means its location away from heat sources and outside the direct rays of the sun. Otherwise, the paper fibers will become brittle and brittle. Excessive humidity can also cause irreparable harm, so the bookcase should be installed as far as possible from the kitchen and bathroom. When a place is selected, it is determined with the dimensions and type of the future structure. It can be open or closed, that is, have doors on the front. To store books, it is recommended to stop at the second option as it more reliably protects them from dust, excessive humidity and temperature drops in the room. Wardrobe assembly scheme with removable shelves. The doors can be made of wood, but the cabinet will get more elegance and beauty if you equip it with tinted glass. Models of cases happen various: built-in, modular or angular. 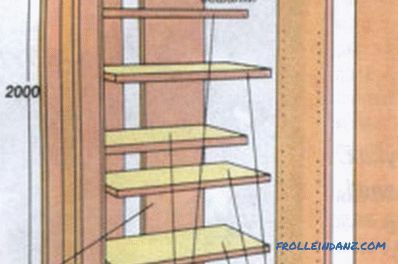 For the first time, do your own bookcase better with your own hands, using the most simple configuration and inexpensive materials. installation of facades and glass. The first step will be to draw a drawing that includes the assembly scheme and the exact dimensions of the parts. At the same time calculate the exact number of shelves and their location. Books of the usual format fit well at a depth of shelves of about 20 cm, and for larger editions the size increases to 30 cm. 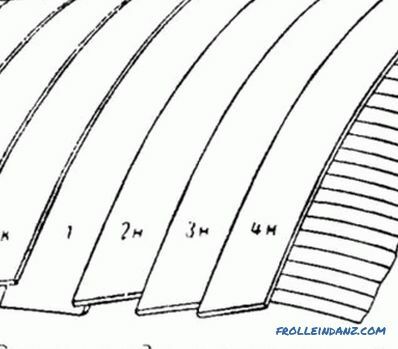 Do not exceed the length of these parts at 1 m, so that they do not bend further under the weight of publications, and the thickness of the shelves must be at least 2.5 cm. 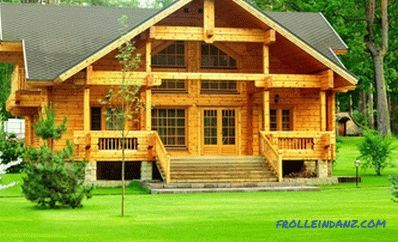 It is possible to use a board made of natural wood as a material, but this will significantly increase the cost. It will be more profitable to stop the choice on MDF or chipboard panels, this will not affect the appearance of the cabinet, but will significantly reduce the cost of procurement. 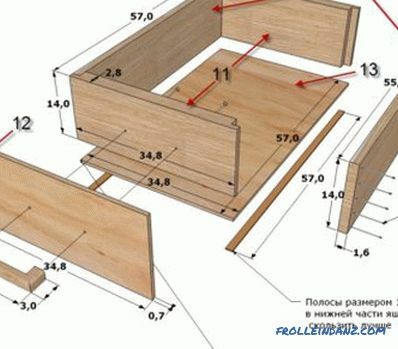 Schematic of an angular wooden cabinet. 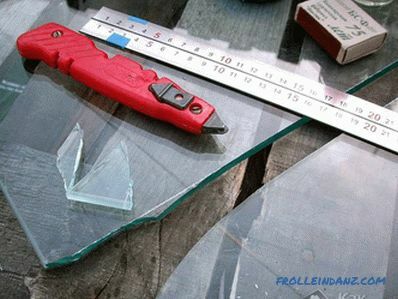 MDF board sawing and glass cutting are ordered on the basis of building materials. In the same place, if you wish, you can pay for additional work on grinding wooden ends and processing them with furniture tape. The assembly of the parts delivered from the store should take place on the most free of unnecessary items and absolutely level ground. Use the square to check the correct 90-degree connection of elements should be as often as possible. Holes for fastenings are drilled a little smaller diameter than the thickness of confirmats. 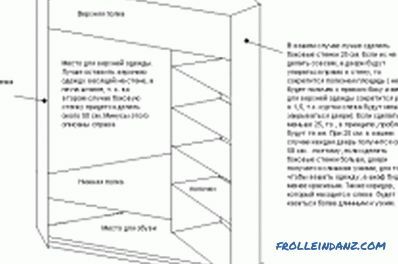 Arranging the parts horizontally, the lower, upper and side walls are assembled, forming a frame structure for installing shelves. Then mount the internal shelves and, setting the structure vertically, fix the back wall of plywood. 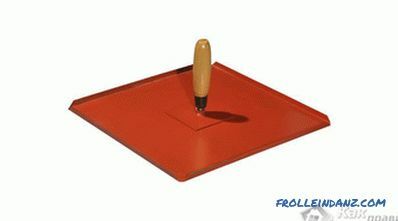 If the MDF end edges are processed at home, they are carefully polished and the furniture tape is glued using a hot iron with thick clean paper under it. After that, proceed to the installation of glass doors. Connectors are screwed to the attachment points with small-sized screws.The edge of the glasses will need to be treated with emery paper and inserted into special loops with snap-in mechanism, securing with clamping bolts. These connectors withstand weight up to 2 kg, and look aesthetically pleasing and do not require drilling holes in the glass. 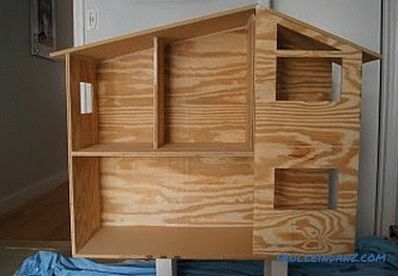 Step by step instructions on how to make a house out of plywood with your own hands. Useful tips and advice on the device as a puppet, and suburban buildings. Required tools, process nuances. Simple do-it-yourself dressing table. 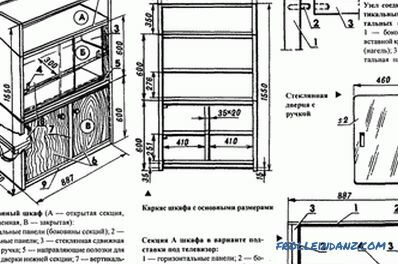 The scheme of assembly of furniture. Materials and tools required for installation. 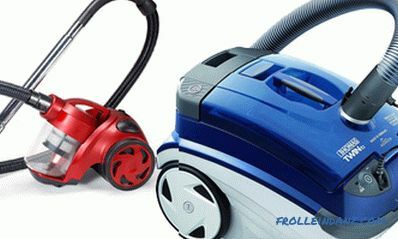 Step-by-step instructions for the manufacture of the product: installation of guides and final finishing.